Allow me to officially welcome you to the start of Winter! Even though it has been snowing and relatively cold here in Jackson Hole for three months already! Remember those first snow storms in the mountains at the end of September? 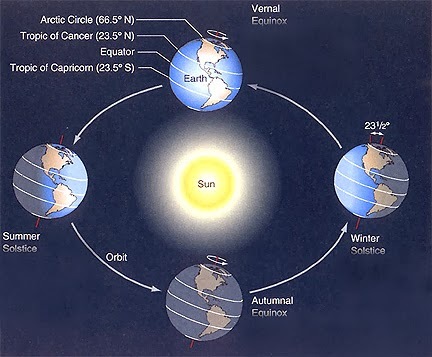 This creates the shortest days of the year in Jackson Hole at about 43.5 degrees North Latitude, or 67 degrees of latitude further north from where the sun is shining directly overhead. There is less than nine hours of daylight, and just over 15 hours of darkness this time of year. Exactly the opposite is true in the Southern Hemisphere, where they will be having their Summer Solstice on December 21. During the week or two around the Solstice, the length of each day is very similar. The days won’t start getting much longer until well into January. After that, the days will steadily lengthen as we progress towards the Spring Equinox, which is another 90 days away in March.